This bookstore specializes in English books only and the books themselves are very neatly organized by sections in two large rooms of the bookstore. It seemed to us that their focus were books on art and architecture but these are accompanied by a great number of fiction books (for example, there was a huge choice on particular writers such as Rushdie), children's books and travel guides. We tried finding more information on the bookstore itself but since it is probably a recently opened bookstore, their website is still under construction. 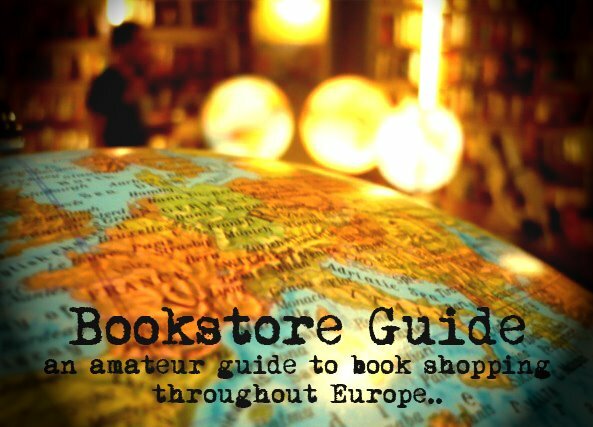 The best way to find out more about the bookstore is to visit it by yourselves. We're sure you won't be disappointed, especially if you are looking for a particular book because, just judging by the number of them, they'll surely have it. Located not so close to the center of Budapest, Pendragon Books, probably named after a novel called The Pendragon Legend by Antal Szerb (written in 1943), is definitely worth a visit especially because of their large and specially chosen sections of books: from books on movies, photography, art and architecture to fiction, science fiction and, what came as a big surprise, a corner full of books for children - bigger than what one may usually expect. The prices in Pendragon Books are of the regular kind i.e. the original price at the back of the book is converted into Hungarian Forints. Unfortunately, Pendragon has closed a few months ago. The premises are now a cooking equipment shop.